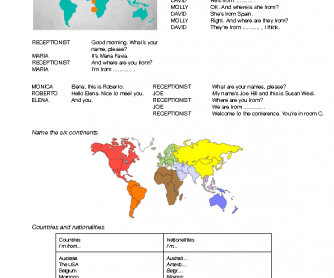 Great dialogues to introduce the "Where Are You From?" theme ad to review some basic grammar points (such as the verb "to be", the possessive adjectives, the subject pronouns). 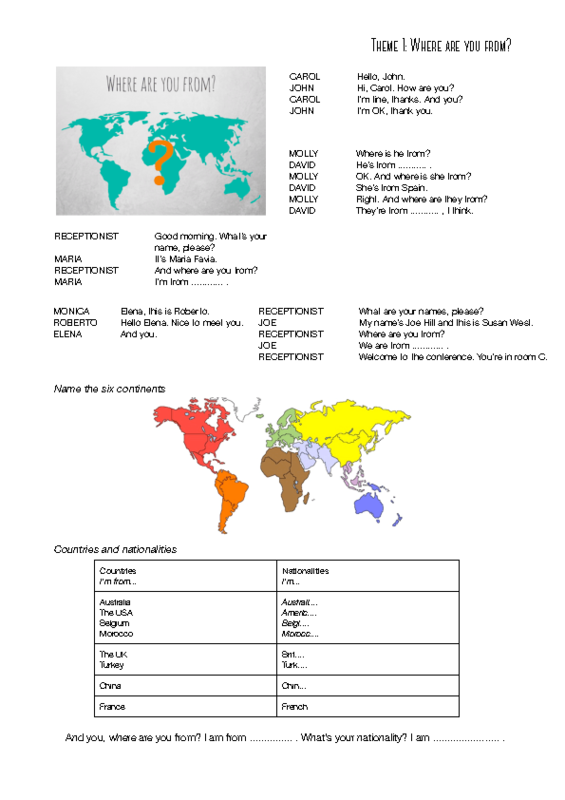 At the end of the lesson there is an exercise that summarizes all the thing ("Introduce your friend").